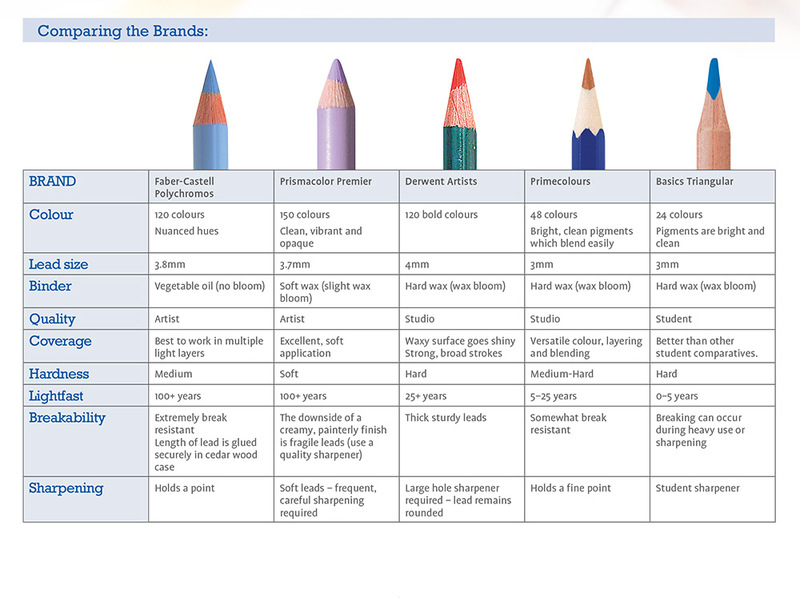 We are often asked “What’s the difference between colour pencils?” Here is an overview to help you choose the right pencils for your needs. 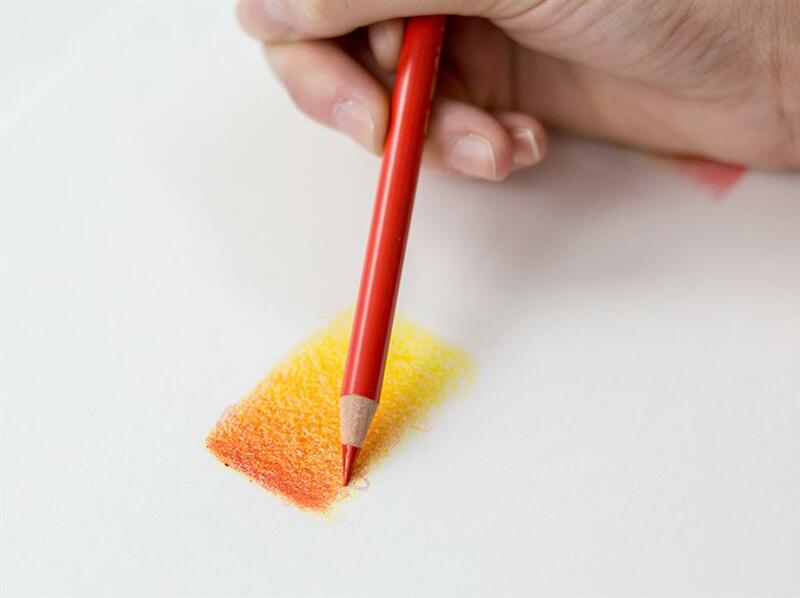 The lead of a pencil is made from pigment combined with additives (such as clay) and a binder (wax or oil). The lead determines the quality of the pencil as well as its ability to blend and layer. 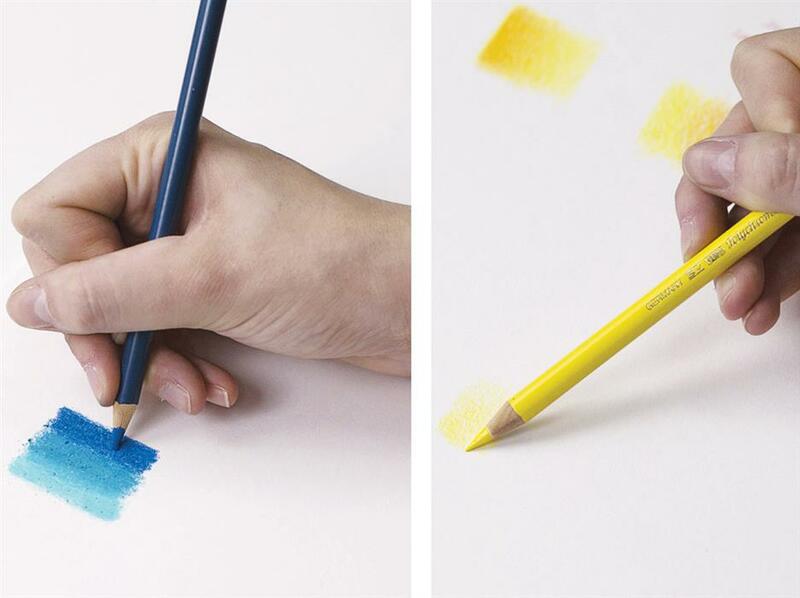 Wax-based pencils go through a natural oxidisation process, resulting in a cloudy white haze over the drawing surface. Typically, the harder the wax (e.g., student quality pencils), the more likely wax bloom is to occur. 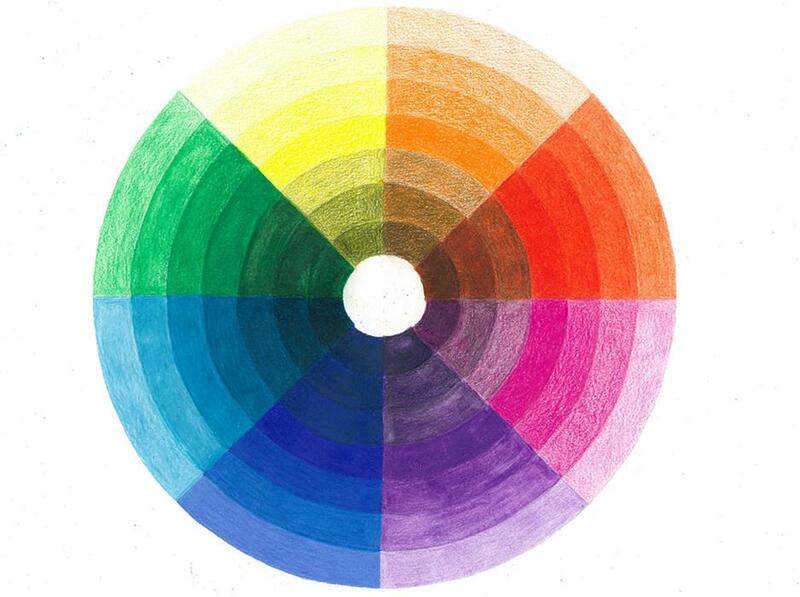 The quality of the pigment determines the colour’s intensity, saturation, lightfastness, and hue purity. Good lightfastness reduces the likelihood of the drawing fading or yellowing over time. You can further protect your work with fixative or varnish. 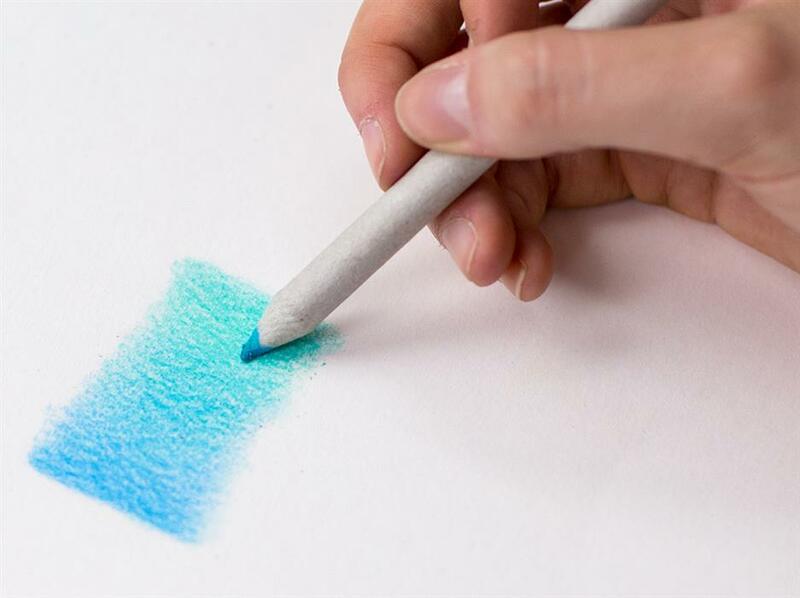 Colour pencil leads are not designed to be erased; however, oil-based pencils erase more easily than wax-based pencils. 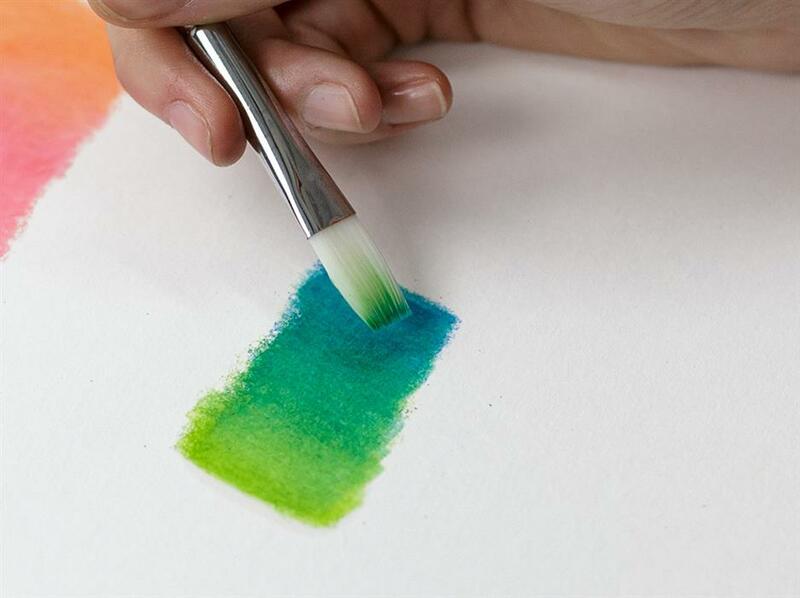 Use Paper Stumps to smudge colours. The natural oils on our fingers prevent layers from being built up. Good sharpeners or a Precision Knife should be used to sharpen quality pencils to minimise breaking. Metal or plastic sharpeners can be used for student pencils as they have very hard leads. Leads that are not centred in the casing are more likely to break when sharpened. 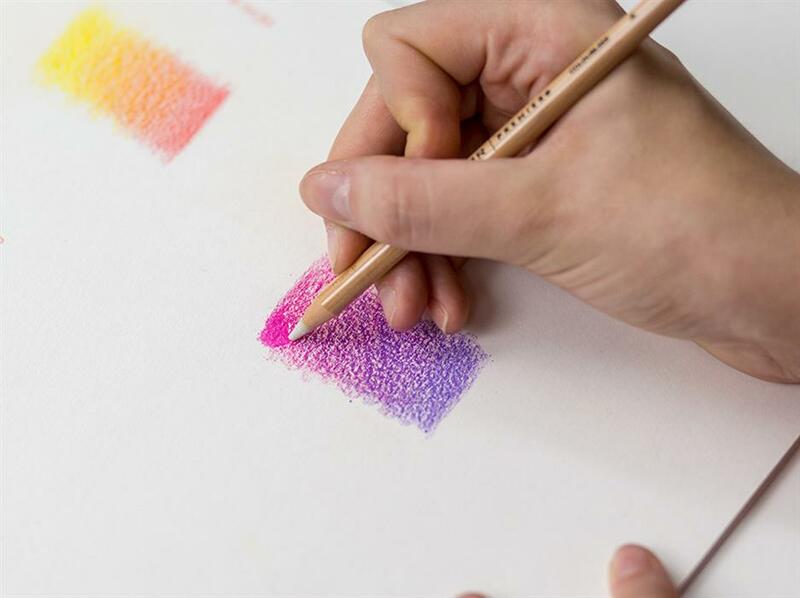 Colour pencils are generally non-permanent on fabric, except for Derwent Inktense, which are water-soluble so can be used wet or dry. Once dry, they are relatively permanent but should be heat fixed for extra protection. Work on a supportive but padded surface like a pad of paper instead of hard table top. Gouache can be used to add highlights (dilute with water; spray drawing first with Fixative to help it adhere). Different brands can be used together. 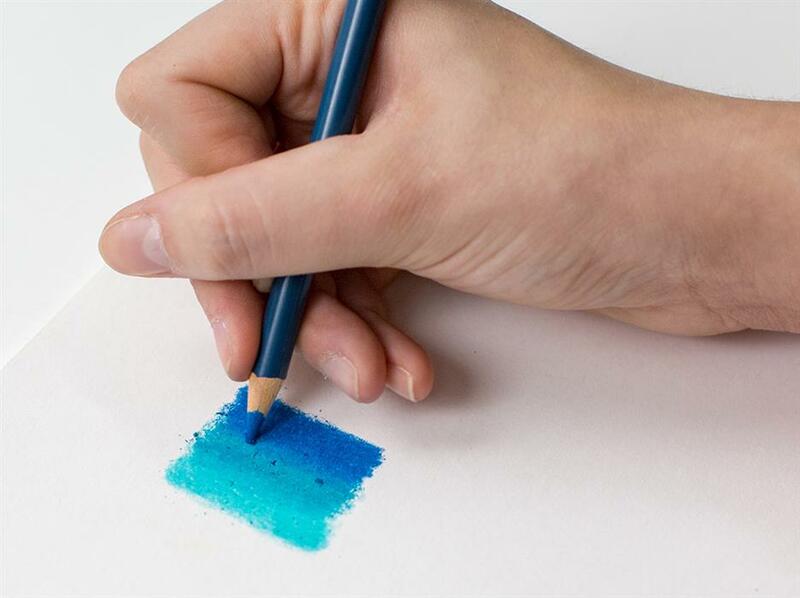 Workable Fixative can be used between layers to make the surface workable again so it takes on the paper’s natural properties and allows more layers to be applied. Be careful not to drop pencils as the leads crack inside, making them susceptible to breaking when being used or sharpened. Always build up enough layers of pigment before using a blending tool, which is the last stage, otherwise finish may look patchy and uneven. It is difficult to add more colour after this point. Paper Stump: Work and rub the Paper Stump in opposite direction to pencil stroke or work in circles (be careful not to scratch the surface). Will make the colour surface shiny. Burnishing: Involves the layering technique in addition to pressure – applying more pressure with each layer until a smooth, saturated, shiny surface is achieved. Overlap transition zones to help colours blend. Best for different strengths of the same hue. 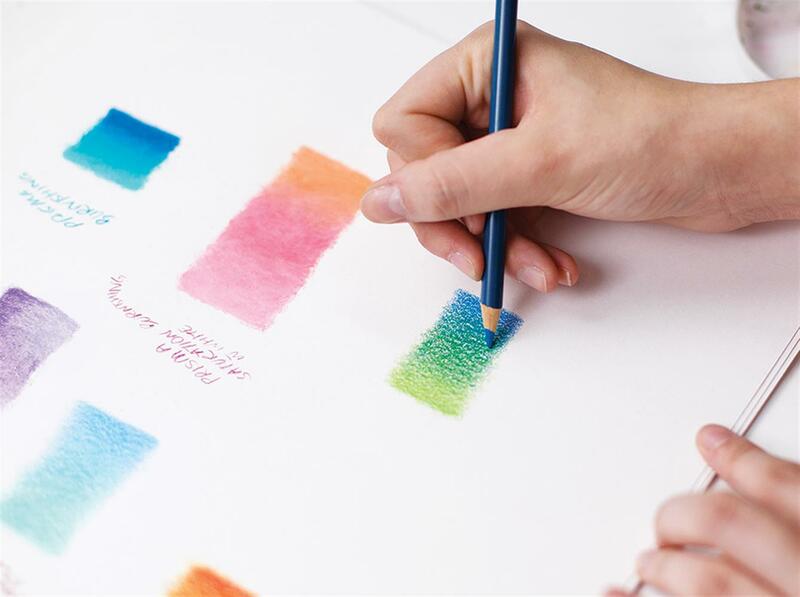 Artwork Surface: Paper is the ideal surface for coloured pencils, though it shouldn’t be too thin as it could stretch with the pressure of layering colours. For best results use hot pressed (smooth) paper. If the tooth is too rough (cold pressed), blending, smoothing and layering is difficult and time consuming. 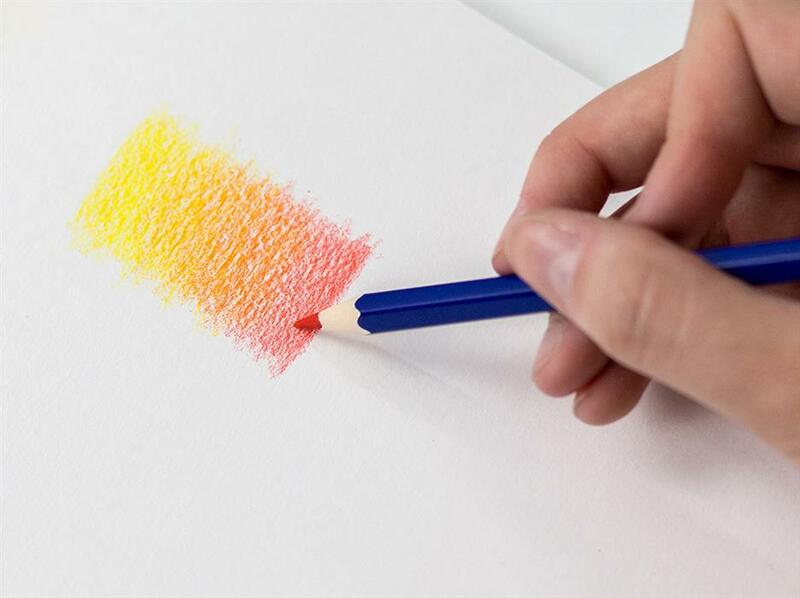 Experiment with other surfaces: Apply Colourfix Smooth Primer to wood, metal, glass, plastic, or canvas surfaces to make theme suitable for colour pencil. Working on a dark surface: Dark backgrounds will dull the vibrancy of the colour. Test the suitability of pencils first and choose a pencil that works well on a darker surface. Putting down a layer of white pencil first will help illuminate the colours.